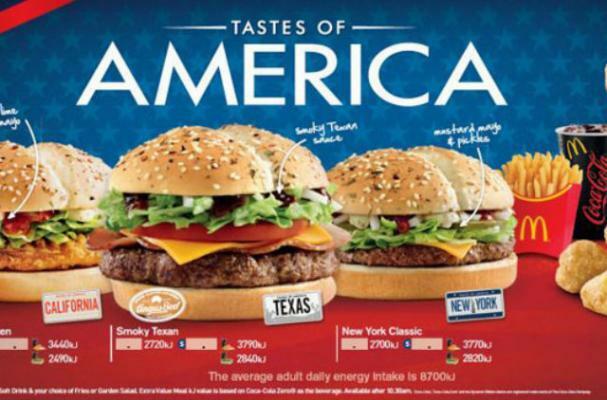 McDonald's is taking their Taste of American menu to Australia. The menu includes three new burgers inspired by different American states. The New York Classic is a regular burger with mustard, pickles and mayo. There is also the Smoky Texas Angus and the California Chicken Burger. Along with the burgers, McDonald's will also be unveiling cheese and chili pop nuggets, banana split milkshake and waffle cones. According to reports, the Taste of America menu could be available in Australia as early as next week.